For sale or lease of commercial real estate listings in the Houston area. Tenderleaf Village RV Park is situated just outside the city limits of Lufkin and is within about 2 hours of drive from either The Woodlands or Houston, TX. The property itself consists of approximately 19 acres just on the outskirts of Lufkin. It's a quiet location with beautiful tall trees, ponds and railway ties lining the driveways. This industrial manufacturing property is very well located on Beach Airport Rd within the city limits of Conroe, TX. It is less than half a mile from Loop 336, allowing employees, clients and contractors easy access to the property.The property itself is comprised of 9.53 acres of land with only about 2.5 acres currently utilized, leaving ample land for additional development opportunities. This 22 acre property is not in the flood plain and is a perfect rectangular shape. It has +/- 1,200 feet of frontage on FM 1774 and +/- 850 feet of frontage on CR 354, making it perfect for almost any type of development. Highest and best use would most likely be a mobile home or RV park. This multi-tenant investment property is in a superb location right next to FM 2920. So, it benefits from two sets of traffic count and double the visibility! It is just half a mile West of the I-45 making it extremely accessible to North-South traffic as well as the East-West traffic on FM 2920 and Spring Cypress Rd. The property has several improvements and tenants. This is a very rare opportunity to purchase a very popular and profitable business located in an incredible location on Hwy 105 with superb visibility and a traffic count of over 30,000 vehicles per day. The business has a loyal customer base that can be expanded by broadening the services being provided. Owner Financing Available!This beautiful 2.5 acre property is located in Magnolia, near The Woodlands & Tomball, TX. It is unrestricted and is seconds away from FM 2978 and minutes from Grand Parkway & I-45. This 7.35 acre unrestricted tract is not in a flood plain and is less than 2 miles from TX-249, FM 2978, and FM 2920. It has access from two sides of property via Cherry Street & a private side-access road. This is an incredible investment property that comes with a business opportunity and even has some existing income! The small warehouse is leased out for approx. $1,150 per month. The nursery definitely needs some TLC. The plant inventory and equipment is included! The opportunity would be to make the business more public facing to obtain better retail pricing. This +/- 3.59 acre property is located on busy FM 2920 in Tomball, TX. This commercial property offers +/-263 feet of frontage on FM 2920 and is just minutes away from the Grand Parkway. The property has a nice rectangular shape and is not located in a flood plain. Other area businesses include D&D Feed Supply & Toro Downhole Tools. This land is zoned residential / rural. So, developers are restricted to single-family homes on 1 Acre, churches, Bed & Breakfast, Community home, Post Office, Riding Academy, Stables, Private Swimming Pool, Vet Clinic,park / playground, Municipal Facility or a Household Care / Family Home. +/- 4.5 acres, commercial land not located in a flood plain. Minutes from the Grand Parkway & FM 2920. Great frontage on Bauer Hockley Rd. Raw land ready to be developed. 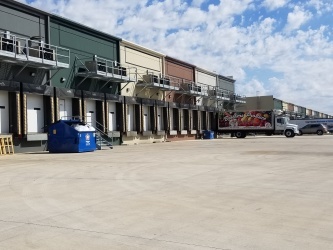 Cold-room Warehouse + OfficeTwo units available: A15 & A21Specifically designed for the produce market!Description:This is an incredible opportunity to own a cold-room warehouse specifically designed for the wholesale produce market. This San Antonio Wholesale Produce Market (SAWPM) has grown tremendously since their inception just a few short years ago. This 1.89 acre tract offers tons of visibility with +/-200 feet of frontage on Highway 105, excellent traffic counts, and quick and easy access to Loop 336. This property has great access with two entry points off of Highway 105. The property comes with a 9,000 square foot metal building and plenty of land to expand. This property has frontage on Stewart’s Creek which would make it a great amenity for an RV Park. Get out of this wild and unpredictable stock market and invest in a solid real estate investment with a good return and a lot of appreciation upside! This building has been completely remodeled inside and out. New lights, flooring, roof, paint, siding, etc. The works! A new parking area behind the building is able to take about 20 cars or trucks. This property is perfectly located on a busy corner facing the new Medical Complex Dr as well as Cherry St. So, it is perfect for a retail shopping center. It also benefits from city of Tomball utilities which makes it even more attractive. This area is developing fast and serves a lot of medical as well as industrial companies. Excellent frontage on new Medical Complex Drive. Possible detention available in city drainage ditch to West of property. 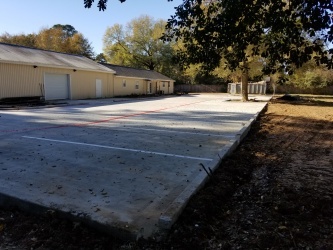 Perfect for retailers, banks, gas stations.DescriptionThis is a roughly 2.37 Acre tract of land that has frontage on the newly completed Medical Complex Drive. It also has +/-60ft of frontage on Cherry Street. Excellent location for future retail development. This 3.78 acre property is in a fast-growing area on the north west side of Tomball in North Harris Co. The pentagonal shape tract is cleared and has 420 feet of frontage on E Hufsmith Rd. It is within the city limits of Tomball and has all city utilities. 1200 SF Grogan’s Ridge Office Condominium for Sale or Lease @ $2295/moFeatures-1,200 square foot office condo-Four offices/conference room, kitchen, restroom, closets and reception area.-Single-story with private front-door entrances and surface parking. For Sale: 3.2 Acres of Land!Perfect Location for Industrial Oil Services WarehouseFeaturesCorner of Southmore Dr. & Ed Kharbat DrProperty size: 3.246 acresUsable Land: 2. This is a great tract with frontage on two roads – Village Way and Old Houston Road. So, very good visibility from either of them. Within a short distance of both the 242 & the new Grand Parkway it is a good service location. Williams Airport is also just 2 miles away. A great investment or development tract. 0.4 ACRE On Frontage Road with Good VisibilityPerfect for Fast-food, Auto-Related or Any Retail OptionThis property is within the city limits of the city of Palmview, TX. It is ideally located on the feeder road on expressway 83 right next to WhataBurger! The fast-food franchise next door provides a kind of shadow anchor that pulls a lot of traffic to the area. Office/Warehouse with excellent location just 1.8 miles east of I-45/The Woodlands Mall. Property is combination of Warehouse with two 20x20ft business offices with HVAC. 3000 SF total between two buildings with plenty of storage. One bathroom with private access. Remote control 14x16ft bay door. Ideal for a contract service company such as an electrician, roofing, plumber etc. This +/- 3.4-acre property is a nice rectangular shape and is accessible via a shared driveway easement that leads to a gated entrance. The land is not cleared, so the costfor clearing/stabilizing can be negotiated with offer. This new retail strip center has an expected completion of Q4 2019. The site is located in the ever-expanding city of Magnolia, Texas at the corner ofHonea Egypt Rd and Durango Creek Dr. Serving The Woodlands and the new master planned community of WoodForest, this area is seeing rapid growth and development!The site will consist of two buildings. This property is well located just West of Carriage Hills Blvd on FM 1488. It is within approximately 2,000 ft of TX-242/College Park Dr that connects to The Woodlands. The visibility and traffic count for the property is second-to-none.The immediate surrounding area has been exploding with new retail and apartment developments. Windcrest PlazaThis property is in good shape & is well maintained by the landlord. There is ample parking and a large monument that attracts attention from the drivers on FM 1488.The property is located across the road from Lake Windcrest subdivision & is just under 4 miles from the FM 2978 / FM 1488 intersection. Great visibility on FM 1488. This is the proverbial “hole in the doughnut” – everything around this property is developed. So, a new developer can come in and create a master-plan for the property and have a built-in client base.The traffic count is superb, the visibility excellent, the location incredible – 5 Minutes to The Woodlands, 7 Minutes to ExxonMobil, 20 minutes to Bush International Airport.